Are You Looking for an Awesome Way to Partner in International Missions? through the love of Christ." Our family has chosen to partner with LoveServes. It is a joy to find a ministry that is founded on biblical principles and strategies! Here are the aspects of LoveServes that are important to me. Christ-centeredness - Jesus Christ is the only answer for every human need. Relationship with God - We do not desire to spread religion or any legalistic version of Christianity. The greatest commandment is to love God. He desires a relationship with us. Building God’s kingdom - Our desire is to build God’s kingdom and the church, not to advance any particular institution or denomination. Discipleship - Discipleship (in terms of intentionally helping believers learn how to follow Jesus) is an important kingdom building strategy. Our goal is to help people love and follow Jesus, not simply grow attendance or activities. Relationships - The best way to grow ministry partnerships, coach pastors, and make disciples is through relationships. Local leadership - LoveServes helps equip local leaders to lead, instead of bringing outsiders or foreigners in to lead. Local church ministry - The call to make disciples is given to the church. While parachurch organizations do good work for the kingdom, the local church is the most effective and powerful entity for building God’s kingdom. All believers are ministers - God calls all believers to ministry, not just vocational ministers. Church leaders are not called to do all the ministry, but primarily to equip the church for the ministry (Eph 4:11-12). Pastor training - Since pastors are responsible for equipping the church for ministry, then coaching local pastors in how to do this is an effective way of growing the kingdom of God. Biblical training - God has revealed the right and most effective strategies for ministry in his Word. All ministry training and discipleship must be based upon Scripture. Evangelism - The Great Commission (Matt 28:18-20) includes bringing people to Christ (“baptism”) and discipleship (“teaching” - as mentioned above). Bringing people to Christ is an essential mission of the church and is a main focus of the ministry for which believers are being equipped. Love and service - The most effective way to reach people for Christ is to develop real relationships with them, and to show them the love of Christ by serving them and meeting their needs. Breaking the cycle of poverty - As we try to meet people’s practical needs in Christ’s name, and train others in ministry, it is important that we learn to break the cycle of poverty instead of perpetuating it (see the book When Helping Hurts). 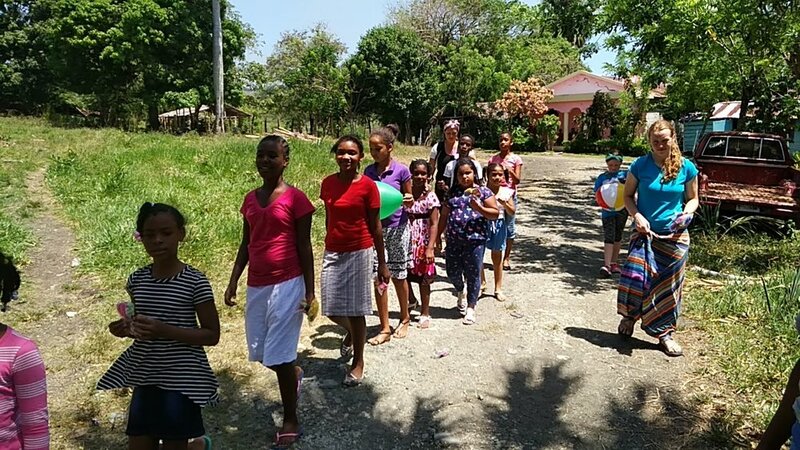 Heart for the world - While God has been doing a wondering work in the Dominican Republic through LoveServes, our heart is for the church everywhere in the world to learn and practice these simple biblical strategies for ministry. We are available to do so in any way the Lord provides and leads. Family focus - Missions and ministry is for the whole family. It is better to work with family units when possible than pulling out just teens are other parts of the family. 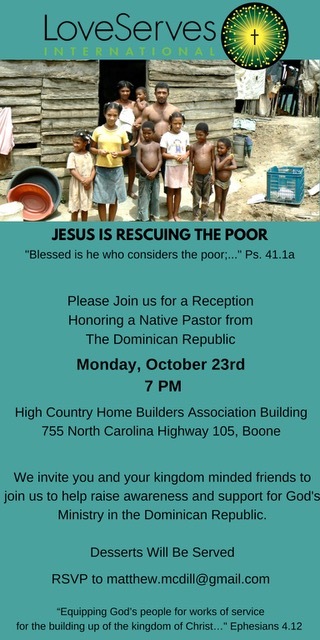 If you are in the Boone area, we will be hosting a meeting with one of the Dominican pastor coaches on Monday, Oct 23, 7pm @ Home Builders Plaza, 755 NC Hwy 105, Boone, NC. You will be able to learn about what God is doing through LoveServes and how to get involved. 1. Doing what is right brings good and doing what is wrong brings trouble. 2. Our choices affect others. Our sin presents a moral crisis for others. Our choices pass on a legacy to our children. Our choices bring honor or dishonor to others. 3. Our choices affect our freedom. Here is the outline for my first workshop at the Thrive! NCHE Conference. You can download it and you can view the prezi I used for the presentation. If you would like the article that unpacks biblical conflict resolution, sign up for post updates in the right sidebar and get How to Stop a Fight Before It Starts for free.